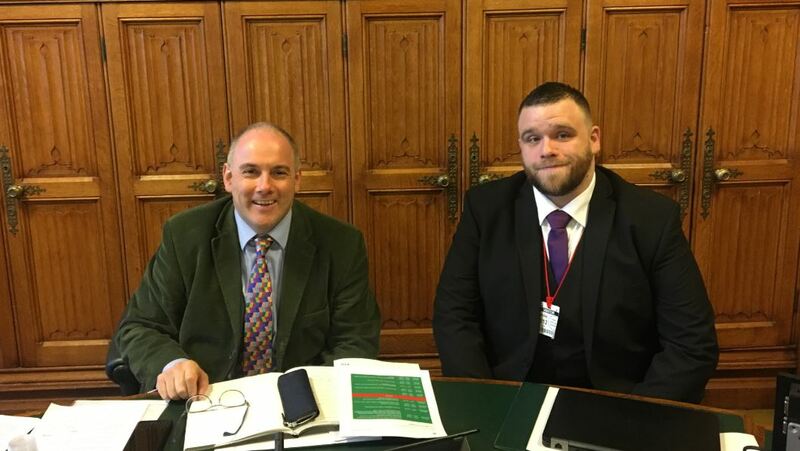 Degree Apprenticeships were under the spotlight at the House of Commons, as the Education Select Committee’s inquiry into value for money in higher education got underway. The inquiry is examining many areas that may influence a student’s impression of value when completing a higher education programme. They were particularly interested to see how perceptions of value were altered for people who had chosen to study via an alternative route, such as degree apprenticeships. Aaron Oreschnik, who is currently in his 2nd year of the Chartered Manager Degree Apprenticeship at Manchester Metropolitan University and is a Deputy Restaurant Manager for Pizza Hut, was asked to describe his experiences. Addressing the panel of MPs, Aaron explained how his university studies are different from traditional undergraduate students – importantly, the fact that his tuition fees are paid for him, that he is able to contextualise his learning using his workplace experience and the additional support from the University for apprentices. To find out more about Aaron’s story and degree apprenticeships at Manchester Met, visit www.mmu.ac.uk/apprenticeships.